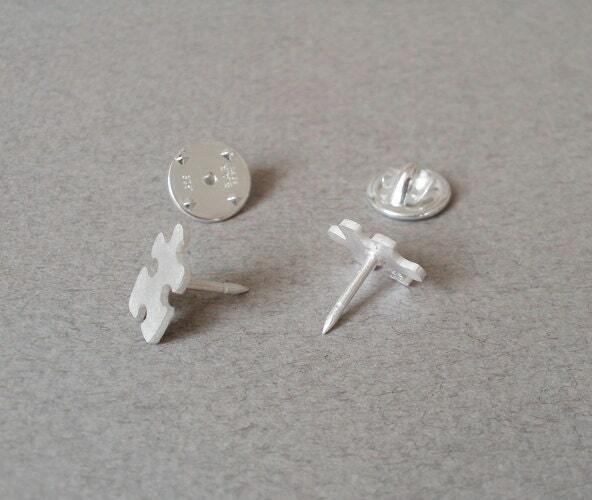 These jigsaw puzzle lapel pins / tie tacks are handmade at my studio in Cornwall, the UK. This list is for ONE pin. At check out, please refer to the 4th image and tell me the capital letter for the pin you want. If you want both pins, please add 2 to your shopping basket and leave me a note saying you want both of the pins. Alternatively, you can send me a message. Fast and great communication. Thank you! 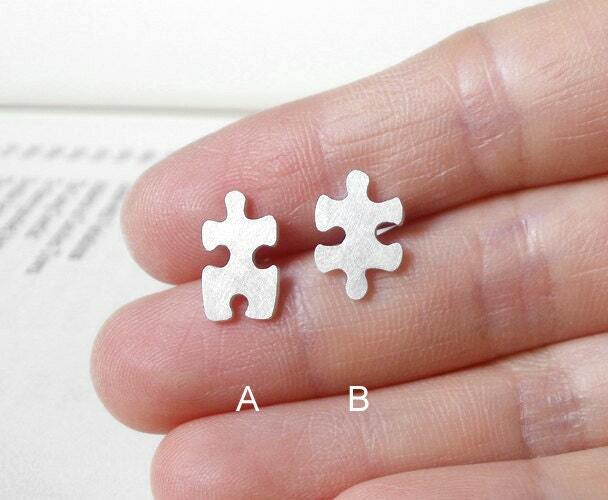 I really like this little pin, the concept of a jigsaw puzzle piece is fantastic, and so is the result. The only criticism I have is that the butterfly clutch backing was really loose and it kept falling off my lapel at crowded events (so it was like trying to find a pin in the ocean), and on the third wear I finally lost it altogether. 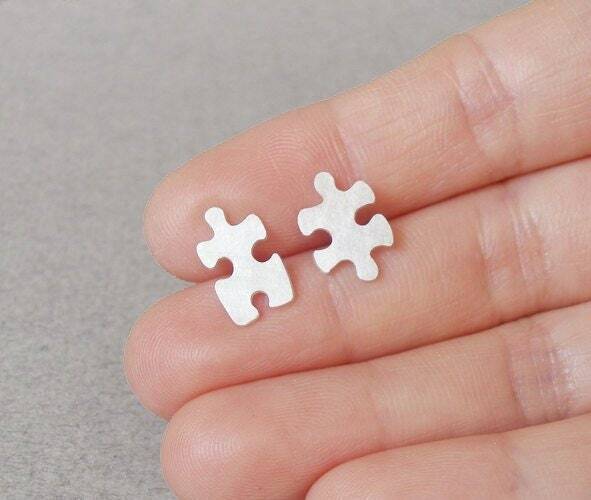 It's easy enough to replace the backing so it's not that big a deal, but just a reminder for you to check all your pins before they get shipped out, thanks. 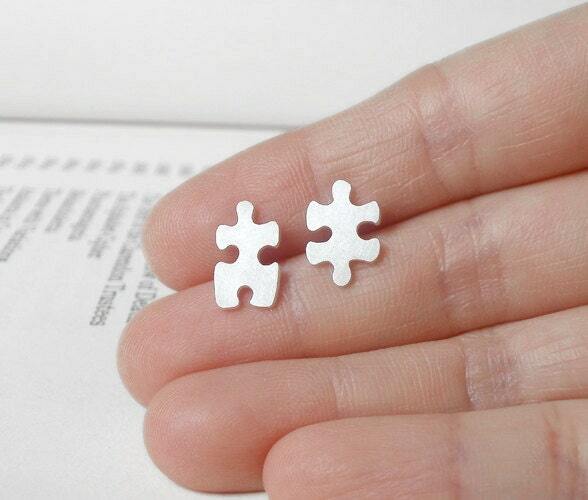 I got one for my partner. He loves it & so do i! Thankyou so much.